We see a large number of men and women with back pain in our Woburn & Chelmsford, MA office, and Dr. James Ellis & Dr. Lyndsay Martin finds that many cases of back pain originate in the sacroiliac (SI) joint. Investigation shows that around 25% of all back pain originates in the SI joint, and now new research ratifies what we have observed in our clinic: chiropractic is an effective way to treat this issue. In the study released in the Journal of Bodywork and Movement Therapies, 32 women with sacroiliac joint syndrome were separated into two groups and asked to engage in one of two treatment methods. one group went through a chiropractic adjustment isolated to the sacroiliac joint, and the alternate group had an adjustment to the sacroiliac joint and the lumbar spine. 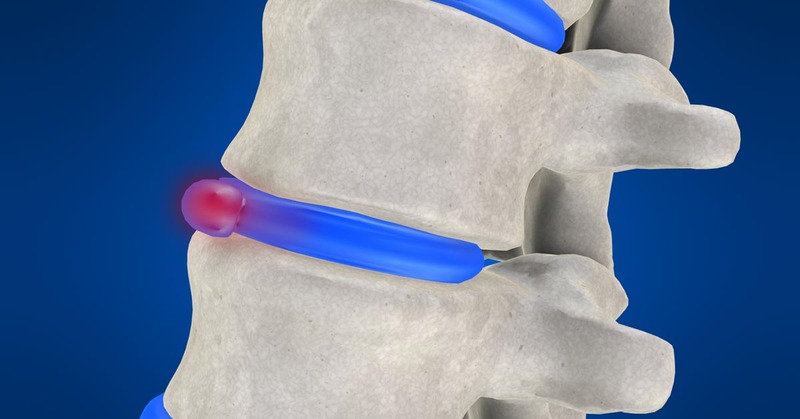 Specialists found greater improvements in both pain and movement immediately following treatment, two days later, and 30 days after for the patients who received high-velocity low-amplitude manipulation to both the sacroiliac joint and the lumbar spine. This asserts that chiropractic manipulation applied to these two areas offers both short term and lasting results for sacroiliac joint pain sufferers—even after just one treatment round. Therefore, if you are having trouble with sacroiliac joint pain, or cope with back and leg pain and want to know if your sacroiliac joint is the source, a consultation at our Woburn & Chelmsford, MA office could be the first—and best—step towards recovery. Give our office a call today at (781) 460-0939. Many people suffer with headache pain, and tension headaches are a common problem in our busy world. Postural problems and stress are common causes of tension headache, and ones that Dr. James Ellis & Dr. Lyndsay Martin and the staff here in our Woburn & Chelmsford, MA chiropractic office have a lot of experience in treating. The scientific literature confirms our findings: A 2016 study from Spain managed a group of 76 patients with chronic tension headaches. The participants were divided into four treatment groups: 19 patients were treated with suboccipital inhibition (the doctor presses on the tight tissues at the top of the spine); 19 with chiropractic adjustments; 19 with both adjustments and suboccipital inhibition; and 19 received no treatment. 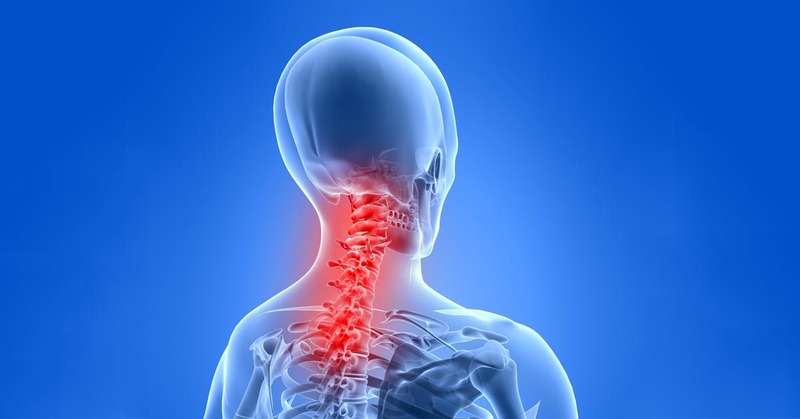 The authors discovered that the spinal adjustments were helpful at relieving pain, and that the best results were found when spinal adjustments were combined with the suboccipital inhibition. When we get stressed out, the nerves and tissues in the neck can be disrupted, leading to pain. Chiropractic works by removing these stresses and restoring the normal nerve function to the tissues. If you live in Woburn & Chelmsford, MA and are suffering from any kind of headache, we're here to help you get relief. Call Dr. James Ellis & Dr. Lyndsay Martin today at (781) 460-0939 for an appointment or more information. Chiropractic is based on the approach of aiding your body to naturally heal through spinal adjustments and lifestyle changes that promote overall health. For Dr. James Ellis & Dr. Lyndsay Martin, this means working hard to restore your body's normal functioning to avoid the need for drugs or surgical treatments. We see that most of our Woburn & Chelmsford, MA patients are pleased to find a natural solution for their health problems. One benefit of chiropractic is that it helps people minimize or even eliminate the use of narcotics. 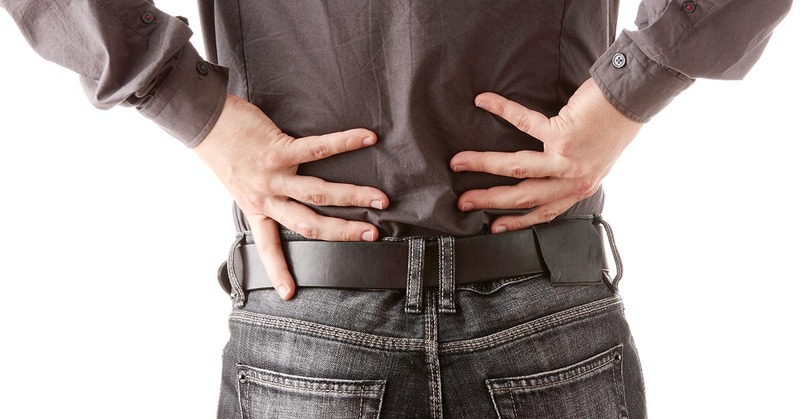 Prescription medications are commonly issued to individuals who have back problems. This is such a serious crisis that the American Academy of Neurology (AAN) issued a news release stating that opioid (painkiller) risks overshadow the advantages when prescribed for back pain. Some of the most well-known opiates, according to the National Institute on Drug Abuse, include hydrocodone (Vicodin), oxycodone (OxyContin and Percocet), morphine, and codeine. Statistics provided by the AAN mention the fact that roughly 50% of the people taking these types of substances for a period of three months are still taking them five years down the road. This can further complicate the issue of back pain and healing, especially if an opiate dependency arises. Contrast that to chiropractic care which incorporates natural healing and the benefits are clear. While a medication might be useful at briefly relieving the discomfort of a health condition, it's not a real solution to the problem. A drug won't fix your injured back; it will only conceal the pain. Dr. James Ellis & Dr. Lyndsay Martin will first examine you to get to the source of your back problems and then work with you to solve the spinal interference -- without risky drugs. If you're ready for relief, naturally, give our Woburn & Chelmsford, MA office a call at (781) 460-0939 to make an appointment with Dr. James Ellis & Dr. Lyndsay Martin. In our Woburn & Chelmsford, MA office, it isn't unusual for us to see patients troubled with sciatica pain, and Dr. James Ellis & Dr. Lyndsay Martin has helped many of these people improve with chiropractic. What makes chiropractic care so beneficial to those who suffer with this condition? First off, it reduces their time of recovery and a Norwegian research study confirms it. In the report, which took place in a Norwegian hospital's orthopedic division, the authors looked at 44 patients who had sudden low back pain that was identified as acute sciatica. The participants were all treated by a chiropractor, with the mean follow-up being two years after treatment. The authors discovered that all but two patients returned to their jobs after receiving chiropractic care, which is a 95% success rate. Moreover, the average length of time that the individuals spent off work "was reduced by two thirds as compared with that associated with conventional medical treatment." Considering that the Bureau of Labor Statistics reports that 170,450 days of work were lost in 2013 due to employees dealing with back or spine-related issues, that is nearly 112,500 work days that could potentially be recovered each and every year solely by receiving chiropractic care. Not only would that increase work productivity, but it would also reduce costs to businesses and employees from lost work. If you live in Woburn & Chelmsford, MA and you suffer with sciatica pain, Dr. James Ellis & Dr. Lyndsay Martin is here to assist. Give us a call at (781) 460-0939 and we'll work with you to find the source of your sciatic pain and get you back on the road to recovery. Headache and neck pain are common problems that affect millions of men and women around the world. If you suffer from this type of problem, you're not alone. The good news is that chiropractic is the best way to not only treat these common issues, but also help prevent future episodes. For many years, people with neck and headache pain in Woburn & Chelmsford, MA have been helped by the chiropractic care of Dr. James Ellis & Dr. Lyndsay Martin. Our success is backed up by a recent review done in Canada that found that non-invasive, non-drug treatments are the best choice for neck and headache pain. The report looked at 15 studies from 1990 to 2015 and found that conservative treatment comprised of chiropractic adjustments, exercises, and stretches was suggested before resorting to drugs or more invasive treatments. If you're troubled with neck pain or headaches, Dr. James Ellis & Dr. Lyndsay Martin and our staff are here to help you feel better. Give our Woburn & Chelmsford, MA office a call today at (781) 460-0939 for an appointment today. Dr. James Ellis & Dr. Lyndsay Martin sees many people weekly in our busy Woburn & Chelmsford, MA chiropractic office who are looking for relief from the pain and suffering they feel due to herniated discs. Our experience isn't unique; the medical research verifies that chiropractic care is a successful way to treat herniated disc problems. One particular research study involved 27 people, 8 male and 19 female, who had magnetic resonance imaging (MRI) confirming a disc herniation in either their neck or lower back. The subjects documented that they were experiencing pain, reduced range of motion, and sensory issues bad enough to keep them off work. Over the course of the research study, the individuals were treated using one of two common chiropractic techniques: traction for herniated discs in the cervical area or flexion distraction for the people who had herniation issues in the lumbar area. Each person was seen four or five times per week for the first two weeks, then three times weekly, and then as needed for the rest of the study. Depending on the seriousness of the disc herniation, therapy ranged anywhere from six weeks to six months, with MRIs being performed at a variety of stages to determine what effect, if any, the chiropractic care was having in regard to the disc herniation. The investigators found that 80 percent of the participants enjoyed a "good clinical outcome," meaning reduced pain and a reduction in other issues, such as numbness. Additionally, 77 percent of these people also showed MRI evidence that their disc herniation was either reduced or resolved completely. This resulted in 78 percent of the study subjects being able to return to their place of work and led the authors to conclude that chiropractic is both "safe and helpful" for disc herniations. If you have a herniated disc and suffer from chronic back pain and are near Dr. James Ellis & Dr. Lyndsay Martin in Woburn & Chelmsford, MA, contact our office today to see what chiropractic can do for you!